Even after promising myself that I wasn’t going to turn into one of those people who hate the holidays because they lost someone close in November or December, I find that I’m having a hard time getting into the Christmas spirit this year. I’m 99% sure that it’s just that whole first anniversary thing that’s causing it, but it’s still a little depressing. 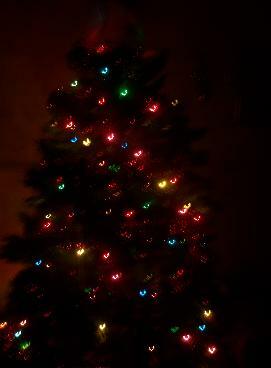 The kids and I finally got the tree up a few nights ago, a good two and a half weeks later than usual. Well, it’s sort of up. We have the lights, garland and angel on it, but no bulbs, beads, Santa’s, snowmen, frosted pine cones or red bows. No Hallmark collectibles, Coke bears, horns or the Mickey Mouse ornament I don’t really like but the kids love so it goes on every year. I have two Christmas villages…both still in boxes. Scads of lights for windows and shelves…still packed away. No manger scene either. Looks like we need to add more lights. Nothing like a picture in the dark to show you what you missed. I can’t believe I’m posting this. Not sure WHY we looked so scruffy here, but… wow. You’d never know my family lived an average middle class life from this picture! Oh those were the days! My sister, two brothers and I looked forward to Christmas Eve every single year because everyone would gather at my grandparents house. My grandparents were never happier than when hanging out with the grandkids. You want to talk about chaos… Holy smoke! Kind of literally since most of the adults smoked back then. Grandma and grandpa had eight kids, and six were still married. All but one had kids, anywhere from two to five. So basically we had about thirty-five people crammed into that fairly small house. He would let it sit on that plate until it came to room temperature, and oh did it ever taste good! What made it special though is that I felt a stronger connection with my grandpa. Not that I recognized it as that back then, I just knew I really liked something that he really liked. In fact, that’s probably the only reason I liked it. Except I still prefer it that way to this day. Isn’t it amazing the things that stand out in our memories? Rarely is it the gifts or dazzling decorations that give us the warm, fuzzy feelings we all crave. No, it’s the things that aren’t grand or pretentious. The simple cheese plate, the dozens of conversations going on around us, conversations so loud that they could rival the noise in a football stadium at full capacity…but because we’re together with everyone we love, it’s wonderful! It’s the playing with cousins, teasing from uncles, and hugs from aunts that make us smile. I actually tried to come up with more reasons why going to Grandma and Grandpa’s house on Christmas Eve was so great…and drew a blank. I guess I already listed the only ones that mattered. I love this song. And the pictures in the video are absolutely gorgeous! Just one other thing comes to mind as I think back, and that is the anticipation my brothers, sister and I felt in the days leading up to it. And Christmas Eve? From the moment we opened our eyes in the morning, the minutes and seconds seemed to take an eternity to pass. It didn’t matter what day the winter solstice fell on, Christmas Eve day lasted twice as long! No kids ever looked at a clock more than we did, willing the hands to move faster because all we wanted to do was pile in the car and get there. We wouldn’t have traded it for anything. Not even a trip to Disneyland. When you think back, what are your most precious Christmas memories? 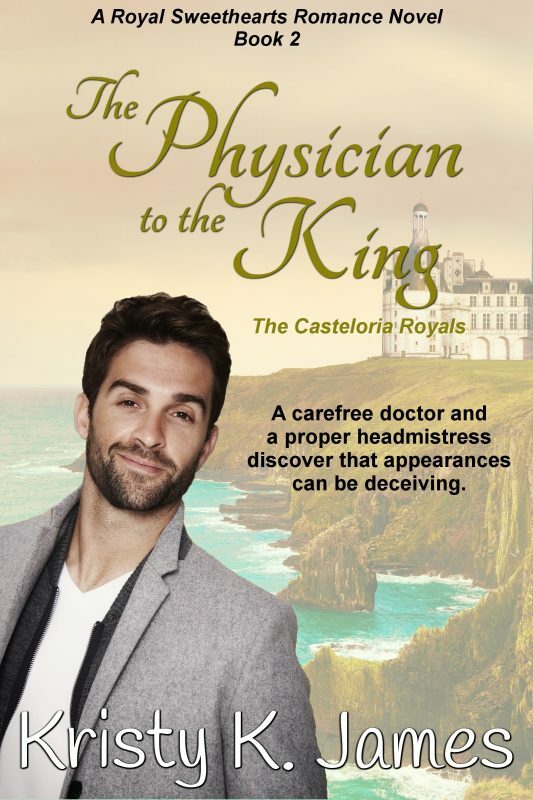 This entry was posted in Romance and tagged A Fine Mess, Christmas, Christmas Eve, grandparents, Kristy K. James, Nat King Cole, Reluctant Guardian, The Christmas Song, The Daddy Pact, The Stranger In My Head. Bookmark the permalink. Yeah, I can’t believe it either. But I’ll lose everything…including the bookmarks…with the reinstall. I just don’t want to try to get everything normal on THIS piece of junk and then have to do it again when I get the other one back. One it’s time consuming, and two I don’t like doing it, lol. That’s good advice, Shelly, thank you. And I think we’re just going to let most of it go. Technically this is the second Christmas, but between it happening less than two weeks before Christmas last year, then planning the service and stuff, I just don’t remember much about it. But I’m fairly sure we had most of the decorations up before. And you’re right. There are a lot of people going through this, too. Even my youngest daughter told me this afternoon that she just doesn’t really care about Christmas this year. Except for the gifts, of course, lol. She’s vetoed the idea of postponing all of this until sometime in January…twice. Oh, I can’t believe you’re still without your good computer! Life w/o all the files and tools and Favorites and such you’re used to makes everything slower and more irritating! I hope you get your good computer back soon. May your Christmas village light up the room and the night for you! Those are some lovely memories, Kristy! There is such power in memory to add meaning and joy or sadness (or both) to our lives. Thanks for sharing yours. Thanks, Marcy. I don’t think I’m sad so much as I just don’t feel anything right now. And I’m missing it because…well…it’s Christmas. I don’t want to just go through the motions. What a cool tradition to have with your grandparents! And don’t worry. It’s important to you so you won’t have a problem keeping it going when they’re gone. In fact, I think that after they’re gone from your life, it will be more important than ever to you, so you’ll find a way. And your family will want you to because they’re already used to it. You’re the second family I know of who uses fish for Christmas celebrations. One of my aunts married into a family who look forward every year to something called sill balls, which are made from fish. Sending hugs. I wish your Christmas wasn’t tinged with sadness. 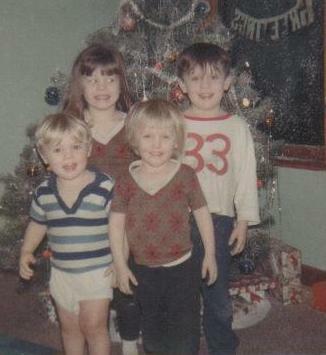 Some of my most precious Christmas memories are from Christmas Eve. We would always (and still do) have dinner with my maternal grandparents, and that was the time when we observed the traditions they’d brought with them from the old country. It was fish, never meat. And after dinner, we’d share oplatki, a thin wafer. I don’t know how I will integrate this tradition into my own celebrations once my grandparents are gone, but I know I want to continue it somehow.